Time files when your internet connection is as fast as what I have. Back at the end of 2011, I jumped onto the fiber broadband-wagon and have been burning rubber every since. M1 started off back then with the 100Mbps package plans as their basic offering, just like all the other ISPs. Difference being, that M1 actually delivered on the speeds. For the last two years that I’ve been on their 100Mbps plan (100Mbps down, 50Mbps up), I’ve been getting consistent average speeds of 105Mbps down and about 85Mbps up – way more than what was promised. Notice I said consistent – not just during “off peak” hours. Where other friends were bitching about Singnet and Starhub, I was blissfully happy with M1. Well, my two year contract with M1 was coming to and end, so I recontracted my plan with them – they don’t offer 100Mbps plans anymore, instead their basic package plan starts off with 200Mbps. At no change in my already very-low-cost monthly subscription, I got a speed boost too with 3 months free subscription (I missed the SITEX promo of 6 months free – bummer!). M1 even threw in a free ASUS RT-N56U wireless N router on top of that. Now the N56U is arguably one of the top five gigabit SOHO routers in the market and its hardly low cost. I already had my TP-Link TL-WR2543ND gigabit router which had been serving me perfectly for the last two years, so my initial plan was to just keep the N56U as a spare or sell it. 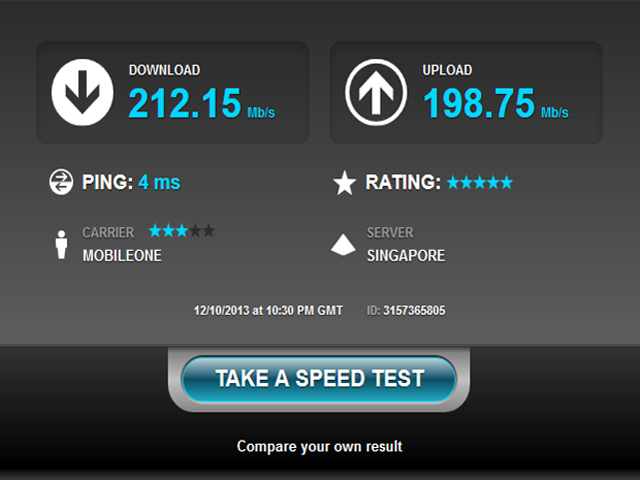 That was until I found out that my TP-Link was more of a gigabit switch rather than a gigabit router. All routers have what we call WAN-to-LAN (WTL) throughput. The value of this figure is basically how much data the router can process passing from the WAN interface to the LAN interface in either direction (up or down). Sadly the WR2543ND’s WTL maxes out at 120Mbps on the default firmware. I tried switching to OpenWRT and DD-WRT where it was said these alternative firmwares could actually push the WTL to about 235Mbps, but it still capped out at 120Mbps. The switch ports (LAN) were all hitting a full 1Gbps though. 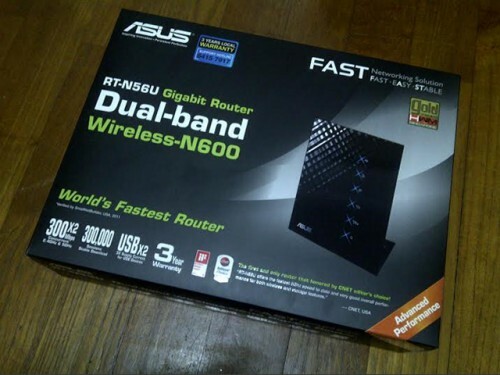 The ASUS however, has a WTL of nearly 900Mbps, making it more than capable of handling my 200Mbps bandwidth and with those numbers, this router should last me into my next contract as well (unless they start handing out 1Gbps package plans at low prices by then). With little choice, I unwrapped the ASUS and set it up – the default firmware is an August 2013 build and its absolutely horrid with loads of stuff that makes a good router completely missing, but thankfully the latest October 2013 build fixes that. Interface is sophisticated looking, but its not complicated and has all the bells and whistles that made my WR2543ND great, including the dual band 2.4 and 5.0 GHz wireless bands, media server, FTP server for the 2 USB ports that even support a large list of AIO printers. The only gripe I have with it is that I can’t change the username from ‘admin’ to something else. From a security stand point, it bugs me that I can’t do this, but in an overall sense, its a trivial matter. In any case with ASUS in place, my connection started rocking with the new speeds, and again M1 was giving me way more than what their plan promises – no complaints there! With that done, I re-used the WR2543ND as a wirless switch (not router) – bypassing the WAN port and only using the LAN ports to extend my wireless signal. All in all, its working out fabulous, so if you’re getting your own router, make sure you know what its WTL is to which SmallNetBuilder has pretty good comparison charts. Oh and for all of you out there who will be upgrading your fiber connections soon and who are already Red or Green, think Orange this time round.